"Display is a curated collection of important modern, mid 20th century graphic design books, periodicals, advertisements and ephemera. Documenting, preserving and providing public access to these original materials will raise the profile of Graphic Design as a source of educational, historical and scholarly analysis for teachers, students, designers and independent researchers. 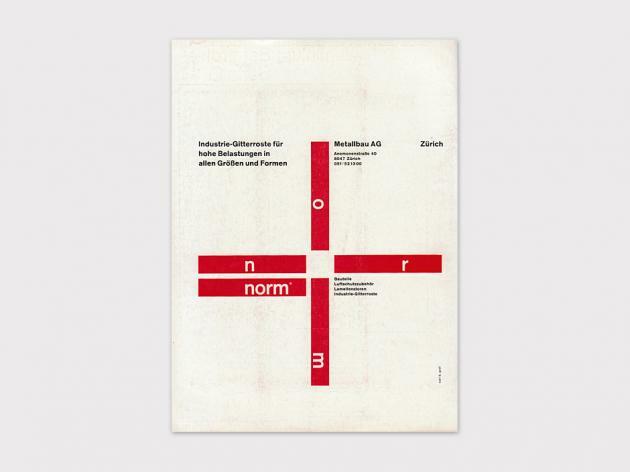 From the rational to the experimental to the playful–our collection is varied and represents a distinct point of view about mid–century graphic design, typography and beyond." "The dark horse of the keyboard, the ampersand exists to join things together, yet remains set apart. Whilst everyone can read and understand the ampersand, or the & symbol, how many of us know where it came from? Alistair Sooke traces the history of the funny little character that has quietly given joy to so many, from a bored medieval scribe right the way through to a modern day digital font designer. Delighting type designers throughout the centuries as a chance within a font to create a small piece of art, it is a joyful moment in a functional resource. Speaking to Ampersfans Alastair enters into a world of letterpress, punchcutting and typography and discovers how the ampersand can be found at every step of the way, bringing a joyful flick of a tail to the dullest document. If you thought the ampersand was a bright young thing in the world of type, you couldn't be more wrong; first credited to Marcus Tiro around 63 BC, combing the letters e and t from the Latin word 'et'. Fighting off competition from his nemesis, the 'Tironian Mark', Alastair then tracks the ampersand to 16th Century Paris where it was modelled in the hands of type designer to the King, Claude Garamond, then back across the sea to William Caslon's now famous interpretation, designed with a joyful array of flourishes and swirls. Alastair will discover how the ampersand became a calling card for many typographers, showcasing some of their best and most creative work. A simple twist of the pen, the ampersand has managed to captivate its audience since print began, in Ampersfan Alistair tries to pin down this slippery character down once and for all." Alistair Sooke (2012). "Ampers–Fan", Producer: : Jo Meek & Gillian Donovan, A Sparklab Production for BBC Radio 4, Last broadcast on Monday, 16:00 on BBC Radio 4.